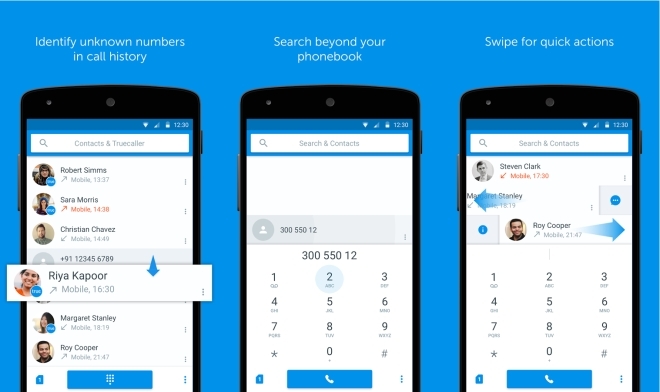 Truedialer is a dialler app for Android by the people who made Truecaller. 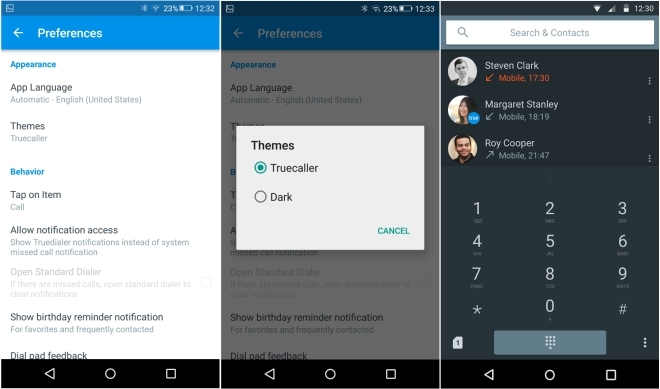 The app goes through your call history and replaced numbers without contact information with proper names and photos from the Truecaller database. The app has now received an update, which brings with it the new Material Design along with a dark theme. There is now also a dedicated search box where you can enter a number to get the name from the database. The app is also now faster than before. You can download Truedialer for free from the link below.